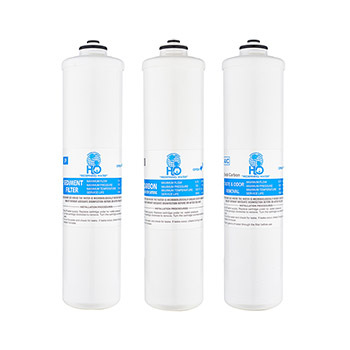 FW Cooler Replacement Cartridge Set, a set of 3 replacement cartridges for FilterWater FW Bottleless Water Coolers and FW-MINI under sink system. 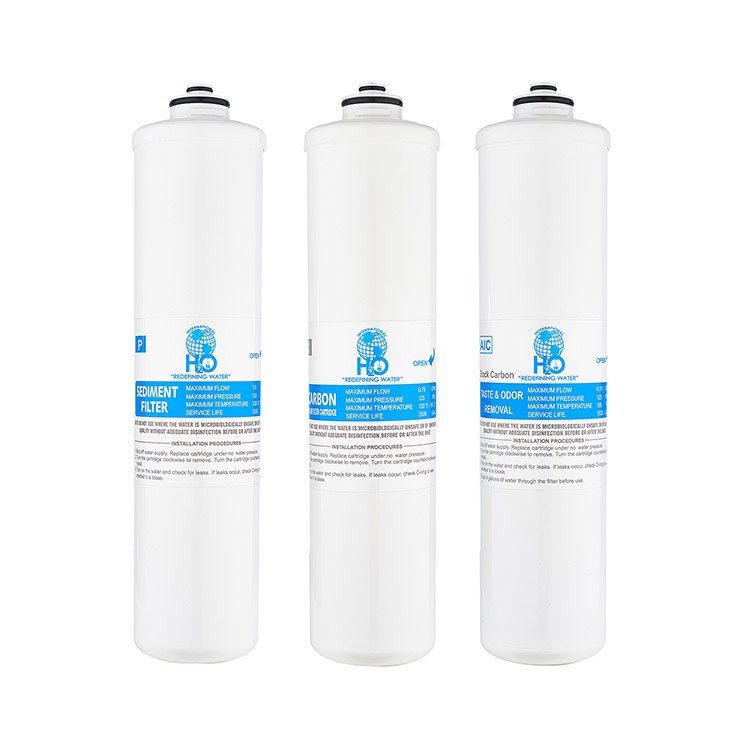 This replacement filter set is designed for bottleless coolers with either Reverse Osmosis or regular filtration system. 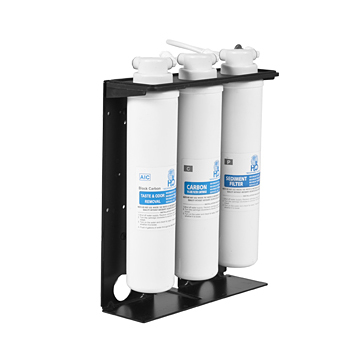 The cartridge pack includes a Sediment filter, Carbon pre-filter(Granular Activated Carbon, GAC), and a Carbon post-filter(Carbon Block). This product fits full size and counter-top models of FilterWater.com Bottless Water Coolers. Also compatible with Global Water / Bluline filtered coolers. Note: if you purchased Global Water / Bluline branded cooler from us, this is the cartridges you can buy to replace yours. 1) 3-Cartridge Standard. Majority of our coolers come with standard 3 filters. 2) 3-Cartridge Anti-Scale Configuration with a Carbon Block cartridge that has a built-in scale / hardness reduction technology. Great for locations with hard water such as California and Nevada. 3) 3-Cartridge Nano-Silver*. Great for anti-bacterial properties. * Not available in the State of California. Sediment 5 micron Sediment filter Removes sediment, silt, sand and dirt. 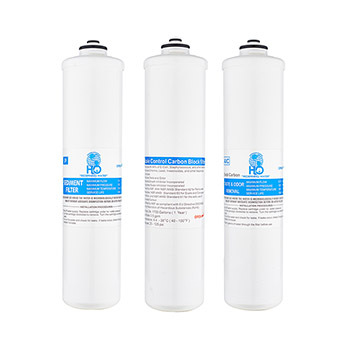 Also extends the life of the filter media and prevent damage. Filter 3 Carbon Block 0.5 micron Carbon Block Removes volatile organic compounds (VOC's), insecticides, pesticides and industrial solvents.